Sterling Gardens, 1808 Fremont Street is a great choice for anyone who wants an affordable Las Vegas stay. 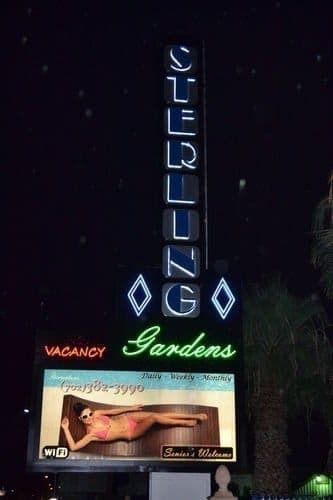 Sterling Gardens is an affordable Las Vegas Motel, which lies just a short drive from Downtown and the world-famous Las Vegas Strip. This makes it an excellent choice for anyone who doesn’t want to break the bank, while they experience all the wonders that the entertainment capital of the world has to offer. 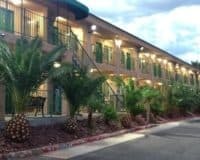 The motel provides a reasonable range of amenities, in light of the price, including a seasonal outdoor pool, where you can cool off during the hot Las Vegas summers, free parking and easily accessible WIFI that can be found throughout the property. Other things of note include laundry facilities and a barbeque and picnic area. 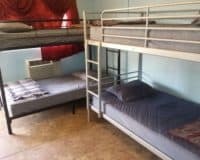 The rooms are spartan and functional, offering beds, bathrooms and not much else, which is of course reflected by the cheap price. 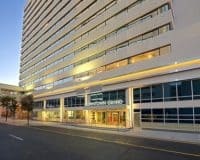 This makes Sterling Gardens a great choice for anyone who wants an affordable Las Vegas stay, providing value, in a city where it can be hard to find. If you want to live the Las Vegas dream, then it is most certainly not the place for you, however, it provides a bed in a good spot, for not much money. 1.1 mi (1.7 km) from Fremont Street Experience. 2.5 mi (4 km) from Las Vegas Premium Outlets. Within 2 mi (3 km) of Fremont Street Flightlinez and Las Vegas City Hall.